The BHP ADAMP seeks to recreate the classic guitar tones from rigs that incorporated the A.D.A. MP-1. The MP-1 was arguably the most widely used rack preamp among rock and metal players, do largely to it's MIDI controllability, hot rodded tones and affordable price. Players like Nuno Bettencourt (Extreme), Vito Bratta (White Lion), Paul Gilbert (Mr. Big), Skid Row and even Smashing Pumpkins and Metallica used the MP-1 extensively. 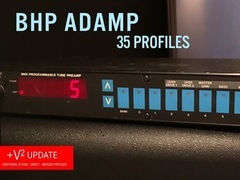 The ADAMP tones were created using multiple speaker and cabinets, and same outboard EQ unit that was actually used on many of the famous MP-1 recordings. 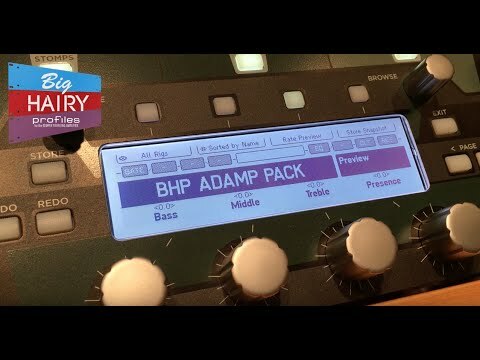 The BHP ADAMP is a pack of 35 profiles for use with the Kemper Profiling Amplifier. 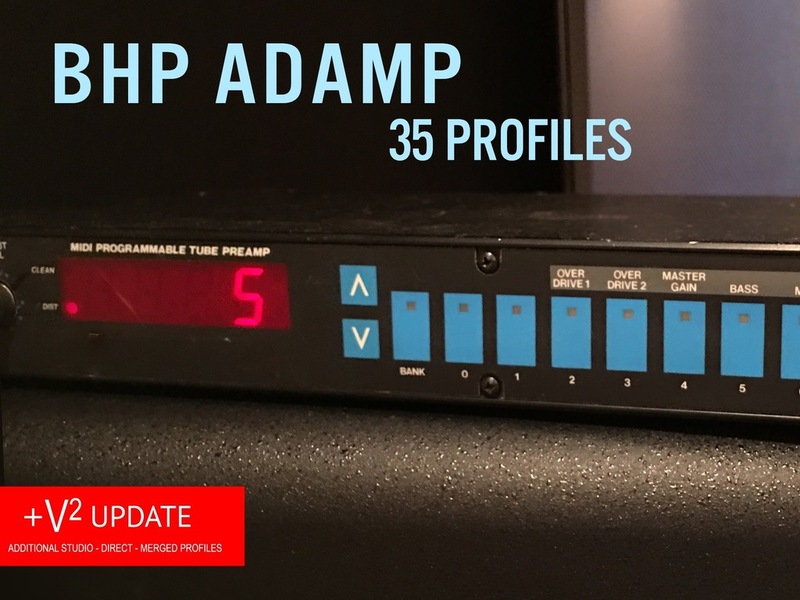 The ADAMP V2 patches are 5 new STUDIO, DIRECT, and MERGED profile, ranging from clean to full searing lead. It's the first time I've ever released Direct profiles. All of the V2 profiles were recorded with a gorgeous chrome faced VHT Classic EL34 power amp, which I didn't have when working on the V1 (so that's new too).